Neutrophils behave differently in the diseased lung environment, compared with when they are in the blood. The culture system makes the neutrophils pass through a layer of lung cells, under the influence of lung fluids obtained from CF patients. The culture system opens up the opportunity of testing fluids from patients to mark disease progression, as well as drug discovery: looking for compounds that could deprogram the neutrophils. Neutrophils are generally thought to be short-lived, and their nuclei have a distinctive appearance under microscopes because their chromatin (where the DNA is located) is highly condensed. 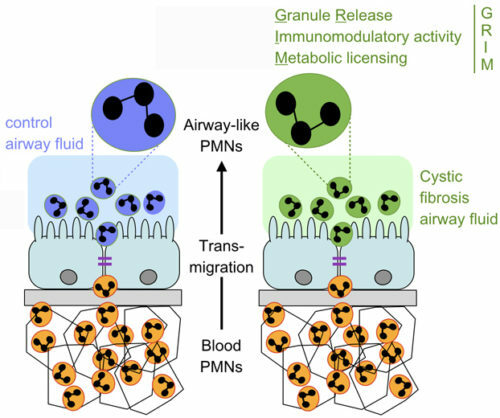 His theory (more in this review) is that in the lungs of people with CF, neutrophils are triggered early on to come in and clean up an abnormal state. But then the cells stay around, and begin to run the show. It is a vision out of the “Sorcerer’s Apprentice” section of the movie Fantasia, when Mickey Mouse finds he cannot control the enchanted marching brooms. Once the neutrophils have migrated into the lung environment, they display an array of characteristics, which Tirouvanziam has coined an acronym for: GRIM. This stands for Granule Release, Immunomodulatory activity, and Metabolic changes. Tirouvanziam says neutrophils are key because the problem with the lung environment starts even before mucus accumulates. And it explains why not all of the lung succumbs to dysfunction at the same time – it depends upon the arrival of the neutrophils. The insight could extend beyond CF, into lung diseases such as COPD (chronic obstructive pulmonary disease) and asthma, which share the feature of mucus obstruction. Researchers have observed that COPD appears to be “acquired CF”, because the CFTR molecule, defective in CF, is also dysfunctional in COPD. The first author of the paper is graduate student Osric Forrest, in the Immunology and Molecular Pathogenesis program. 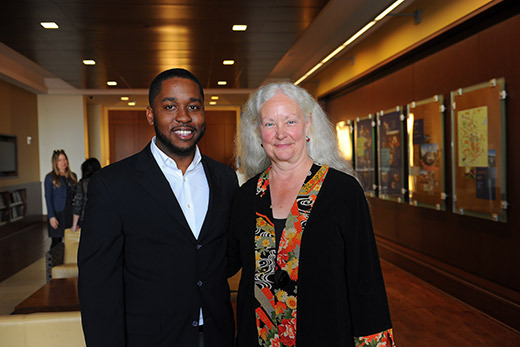 Forrest recently obtained his doctorate and was honored with the Eleanor Main Graduate Award, recognizing mentorship. Co-authors at Emory include Joanna Goldberg, PhD, professor of pediatrics and Vin Tangpricha, MD, professor of medicine. 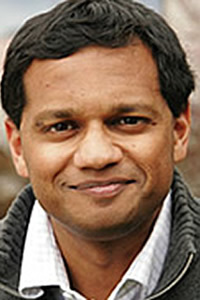 Amit Gaggar, MD at University of Alabama, Birmingham also contributed to the paper. Tirouvanziam’s research was supported by the Cystic Fibrosis Foundation, the National Heart Lung and Blood Institute (R01HL126603), and the Georgia Clinical & Translational Science Alliance.